This is a great quote about what life is really about. We have to realize that we are all equal, and not only that but rather we are all in this life together for the full benefit of everyone, including the natural world around us. So to look down upon people causes us to lose a bit of our humanity because that sort of thinking instils the idea that humanity is split up into different classes of people, when in fact we are all the same. The goal and purpose of everyone should always be and strive to be in building up the entire human race and environment and not just ourselves. In fact helping others will cause a ripple effect in which the people you help will be better able to grow and in turn help others, and all this will eventually get back to you, in creating a better world for all. 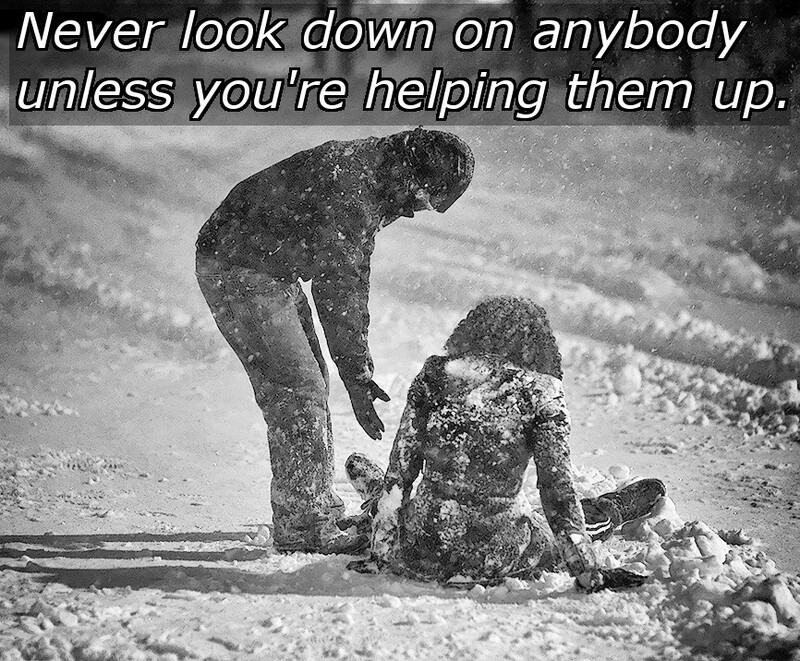 So don't look down upon anyone, unless of course you are helping them up!